I bought these yesterday at the market to try them out. I bought them for myself but they are a great lunch idea for the little ones when you want something quick and easy. These would go great with some fries, chips, or sliced fruit for a healthier option. Eight little sandwiches come in every box wrapped in a plastic pouch you see pictured above with two minis per pouch. 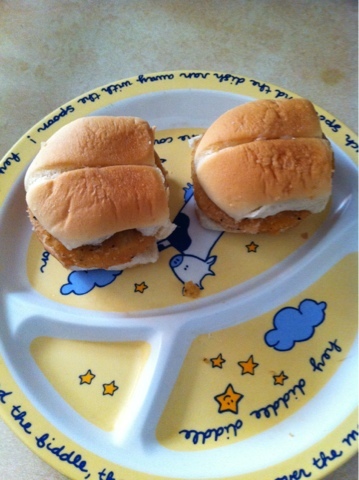 All you do is pop them in the microwave for 45-55 seconds on each side and let sit for a minute and you have what looks like the two little sandwiches pictured below. 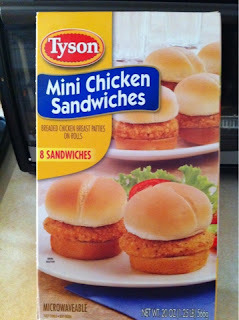 My mini sandwiches were pretty good however, I do wish that there were instructions for the oven. 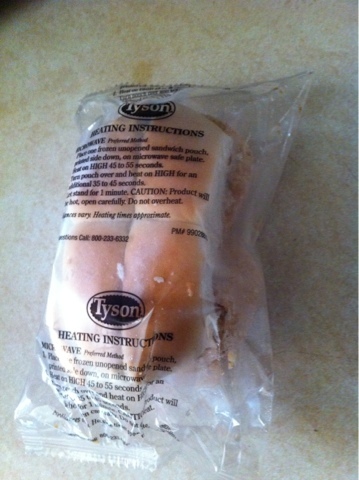 My bread was a little hard on the edges so I probably have to adjust the microwave time. Have you tried these. 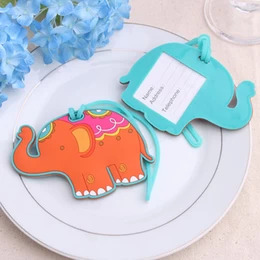 If so, I would love to hear what you think of these cute little mini sandwiches. *These were paid for with my own money. I received no compensation from Tyson for this review. All opinions and thoughts are my own.